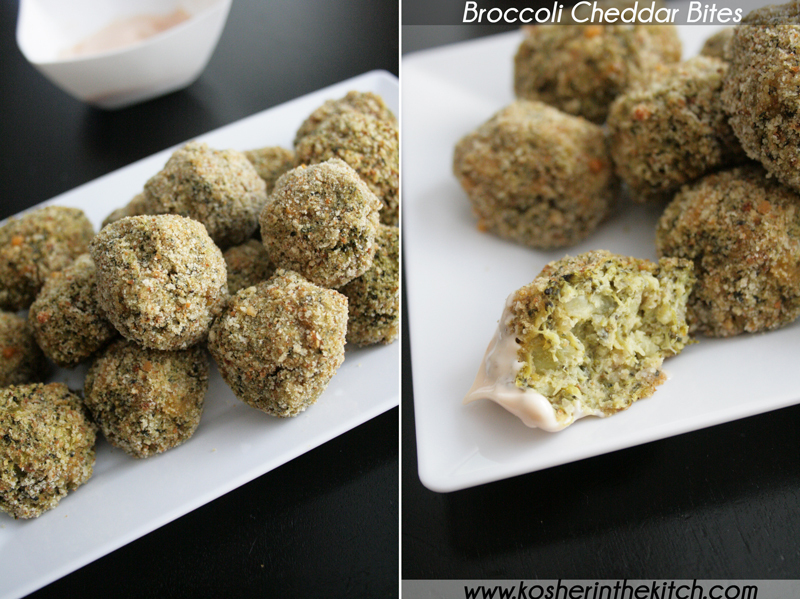 Broccoli Cheddar Bites - Kosher In The Kitch! 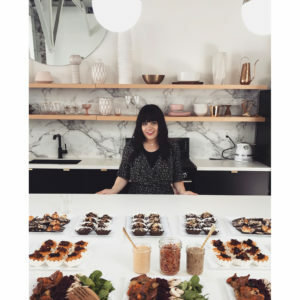 Broccoli Cheddar Bites - Kosher In The Kitch! I’m all about the broccoli cheddar combo, as you may remember from my Broccoli Cheddar Latkes found HERE. I adore all things mini and love nothing more than a great tasting perfectly sized appetizer. Steam broccoli. Once soft, place in large mixing bowl and mash together. Add eggs, cream cheese, 1/4 cup of bread crumbs, salt, pepper, garlic and cayenne pepper. Mix well until combined. 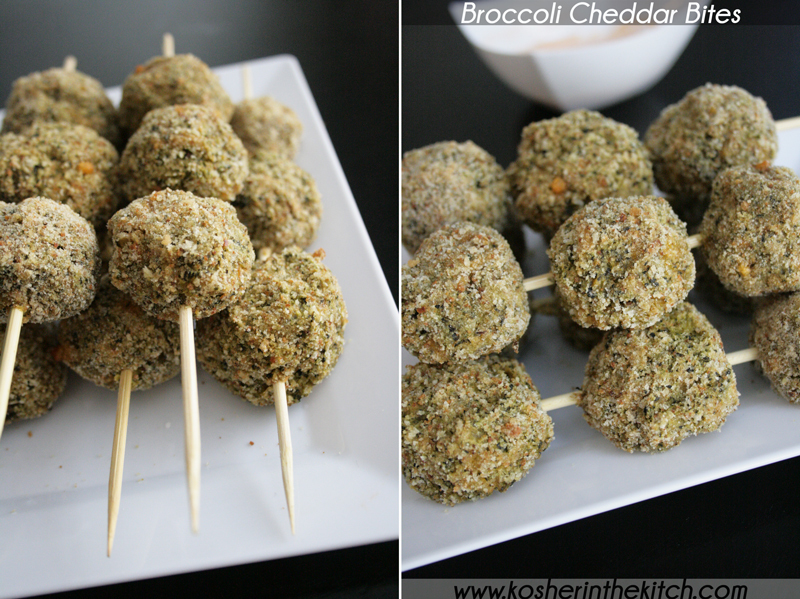 Wet your hands and shape the broccoli mixture into balls, about the size of falafel balls/walnuts. (about 1 tablespoon of broccoli mixture) Dip the balls into the remaining bread crumbs, then place on a lightly greased baking sheet. Spray cooking oil on top of balls then bake on 375′ for about 20 to 25 minutes until slightly crispy. Serve several balls on skewers or individually on a platter with a combo of mayo and ketchup on the side. *Tips&Tricks: You can also use the broccoli mixture to make a quiche. Simply put the mixture in a prepared pie crust and bake for about 45 minutes. Or make mini pies with it! Top pies with bread crumbs and extra shredded cheddar cheese.For those of you cheese lovers, wrap the broccoli mixture around cheddar cubes for a super cheesy filling!